Filter the properties by type on the left menu under Search Properties. Clearwater Cascade #359 - Private back yard! Pet ok! $185 mo. fee! Clearwater Cascade #203 - Lovely 3 Bed/2ba Winter Home! Ready to move in! $175 mo. fee! Pet ok! Lake Rich Village #62, Spacious lot now available, right across from pool & lake! Fabulous Lot-Next To Pool And Clubhouse! Clearwater Cascade #360 - Spacious Front Eat-In Kitchen! 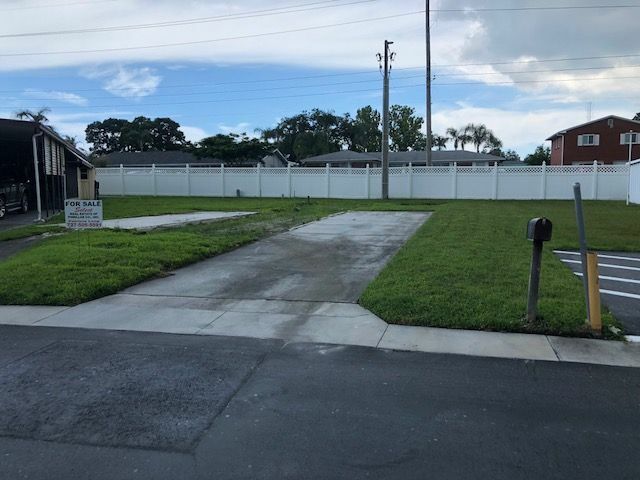 Private Perimeter lot! Pet ok! Various Lots For New Homes!